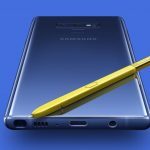 The new Samsung Galaxy Note 9 might not look much different than the Note 8 but it doesn’t take long to discover the huge improvement in performance and the S Pen. 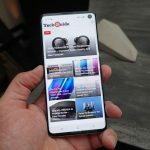 Tech Guide went hands-on with the Note 9 at the launch event in New York and from the minute we started using it we could tell there was a lot more power at our fingertips. 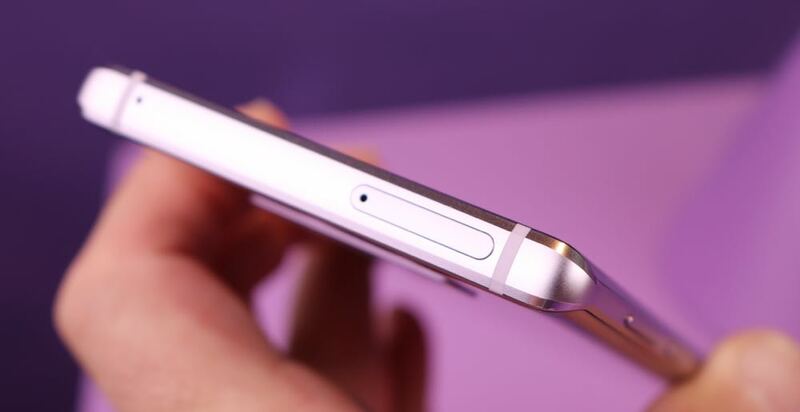 Design-wise, there’s not a lot that’s different apart from the diamond cut edges. 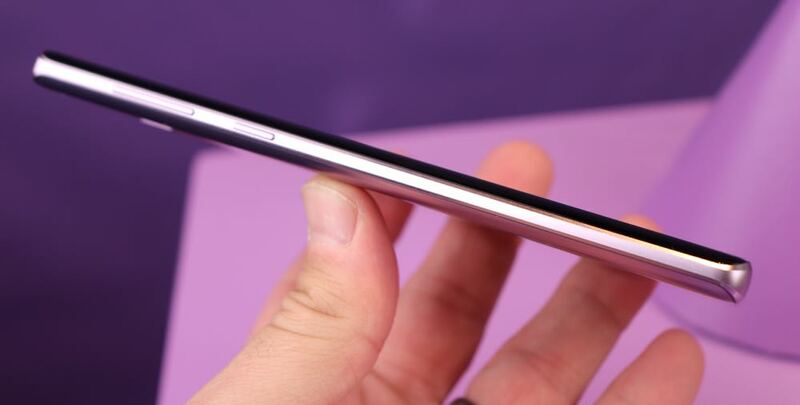 The device is 161.9mm long, 76.4mm wide and 8.8mm thick and weighs in at 201g. 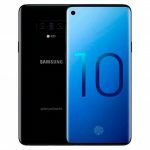 At those dimensions it is only fractionally larger than the Note 8. 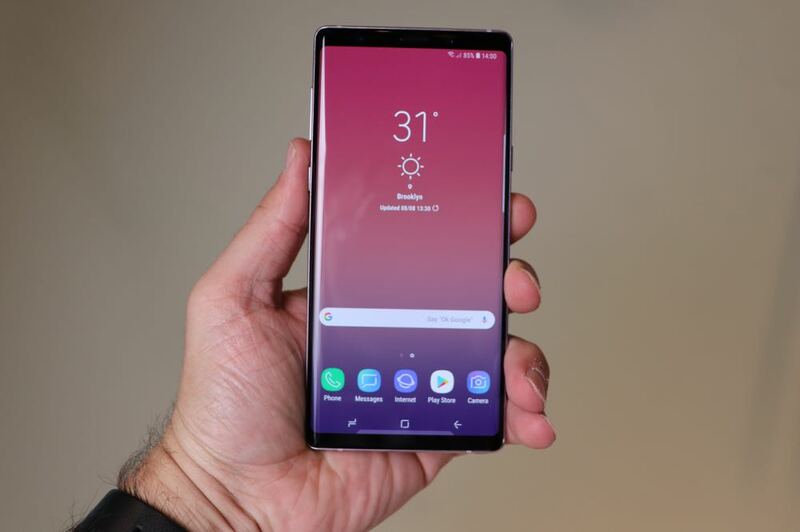 Note 9 also has a slightly larger 6.4-inch screen but doesn’t feel any bigger in your hand. As you’d expect, the Quad HD Super AMOLED display looks stunning so websites, photos, movies and apps jump off screen. 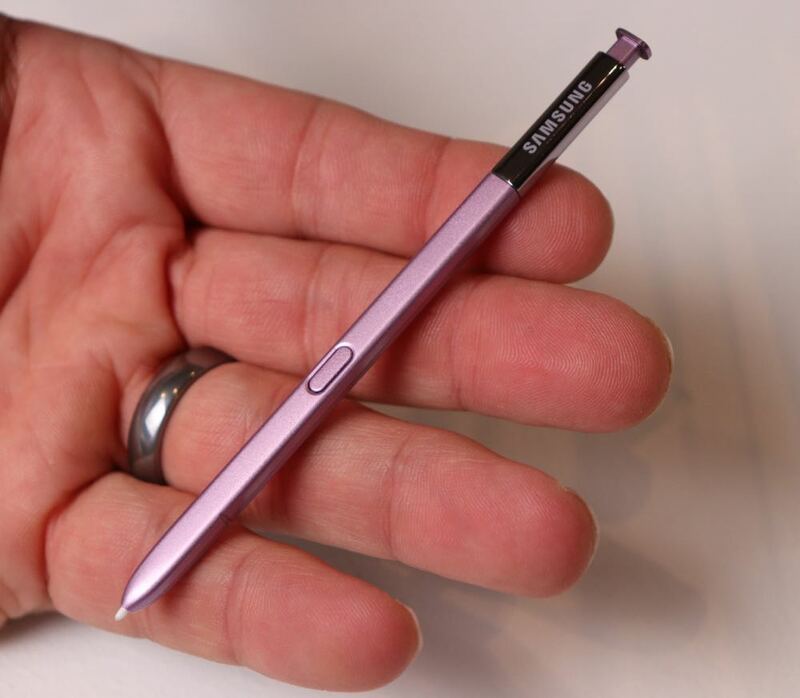 It wouldn’t be a Galaxy Note device without S Pen. And the new S Pen with the Samsung Galaxy Note 9 is a game changer. 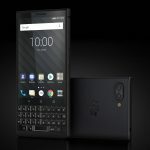 It now connects wirelessly to the device with its own Bluetooth connection and is now more useful than ever. Yes you can still write and draw on the screen but now you can do so much more. Now the press of the button on the S Pen can advance slides on your presentation or move to the next photo if you’re showing off your latest holiday snaps. We gave the button a long press and that activated the camera. Another click activated the shutter and two clicks changed to the front camera. 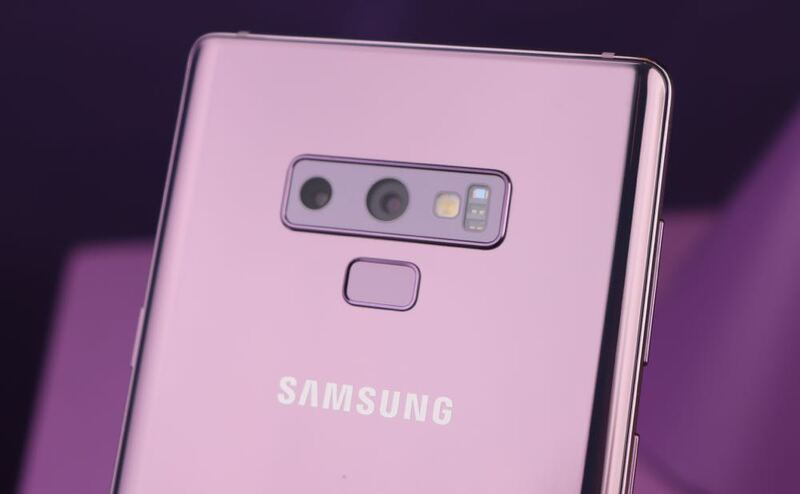 And because it has Bluetooth onboard it can be used within 10m of the Note 9. What’s exciting is the fact that developers will now be able to create apps that take advantage of the S Pen which will only make the device improve over time. 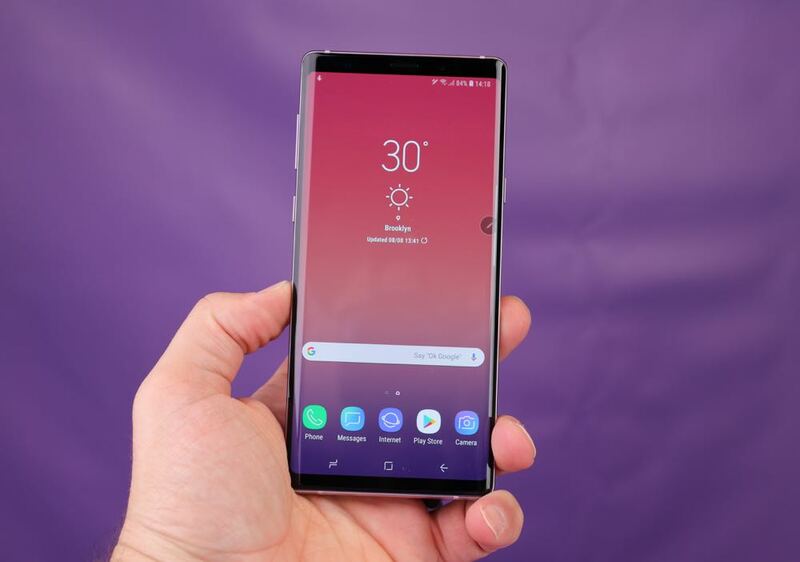 With the Samsung Galaxy Note 9, you’re getting pretty much the same camera as the Galaxy S9 – and we all know how good that is. As a productivity device, the Note 9 will be a handy companion especially with Samsung DeX built-in. 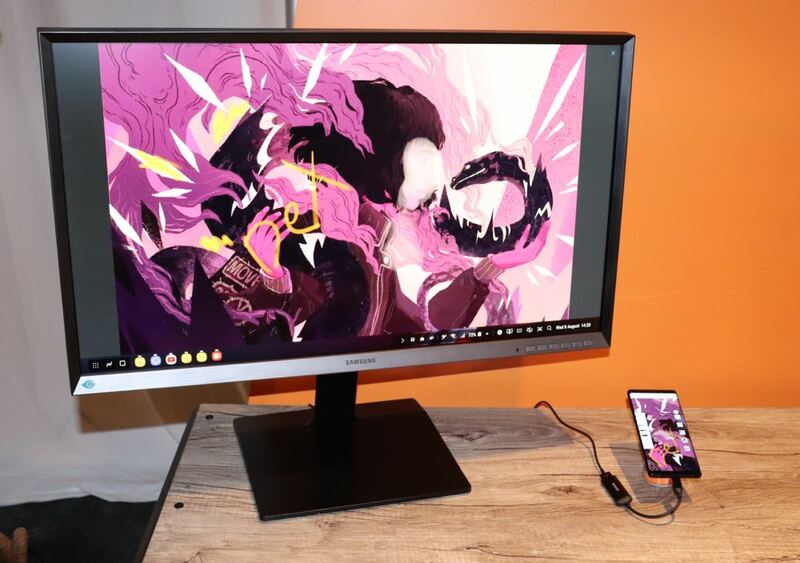 And what’s cool about DeX now is the fact you can still use the device while it’s connected to a monitor so you can keep messaging or drawing or whatever you want. At the same time you can have multiple windows open on the desktop which really proves the Note 9’s raw computing power. This is ideal for the mobile professional who doesn’t want to be weighed down by a laptop computer. You can run your presentation right off the Galaxy Note 9 and use the S Pen as your controller to move forward wirelessly through your slides. 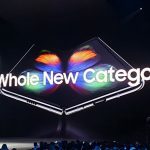 What’s also on your side is the biggest battery (4,000mAh) Samsung has ever built into it a mobile device so the performance can be matched by endurance as well. Samsung has also doubled down on the built-in memory. Last year’s Note 8 had 64GB onboard which is now being doubled to 128GB on the entry-level Note 9. Samsung has also included a ”go big or go home” model with a gargantuan 512GB. Only uses now also have the choice of adding a second SIM card or a microSD card to make that memory capacity even larger. The hybrid SIM tray gives customers the choice of either rocking two 4G SIM cards or one 4G SIM card and a microSD card. It’s good to know that you got a choice here. 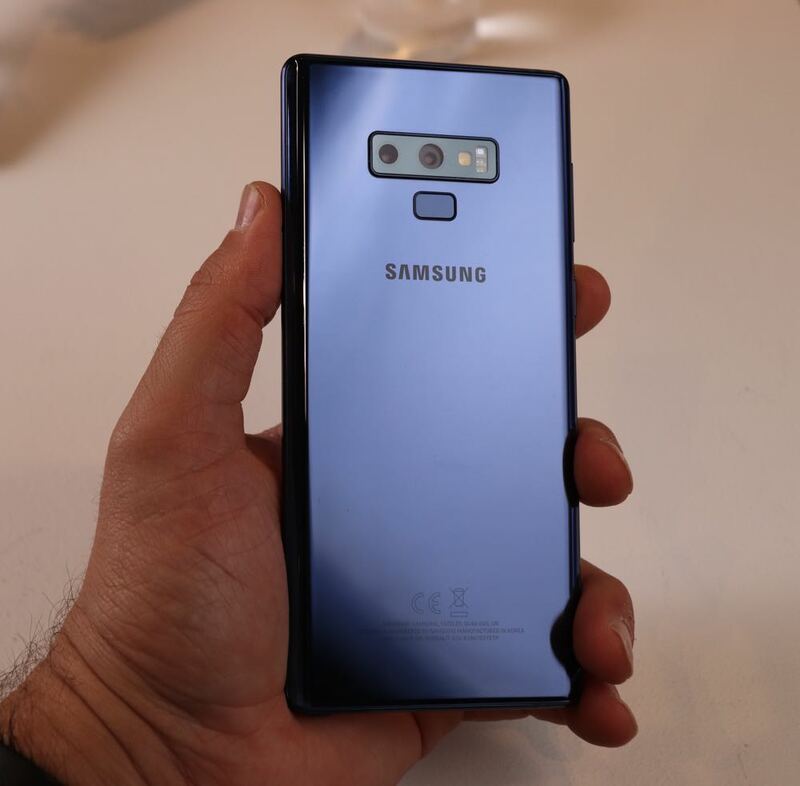 The Samsung Galaxy Note 9 also has stereo speakers which have been tuned by AKG as well as Dolby Atmos capability. Our favourite colour was Ocean Blue which comes with a yellow S Pen. The other available colours are Midnight Black and Metallic Copper, the latter being available only through Samsung retail outlets. 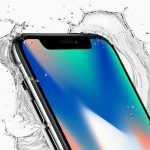 Price-wise, Samsung has stuck with the same $1,499 as the Note 8 but it has doubled the memory capacity. 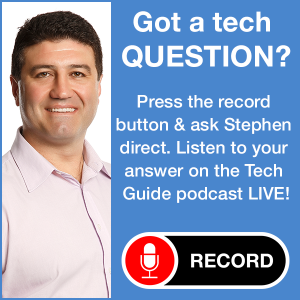 If you want to go for the 512GB version, it will set you back $1,799. But if you pre-order the device before the August 24 launch date, you will get the 512GB model for the same price as the 128GB device. That’s great value right there and it will deliver Samsung some great pre-order numbers. 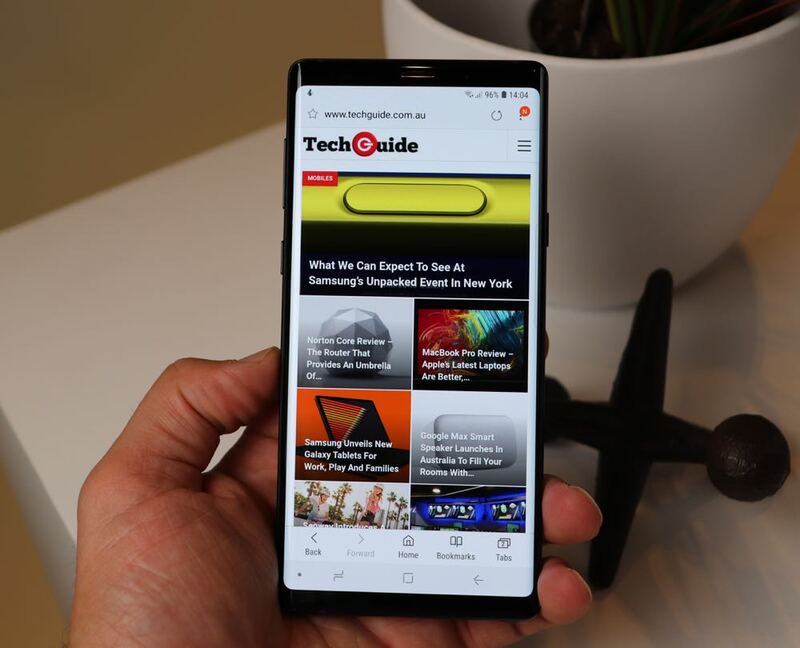 Stay tuned to Tech Guide for a complete review of the Samsung Galaxy Note 9 in the coming weeks.